One of the most common questions we get from clients interested in natural stone countertops is whether or not their countertop will have a seam in it. 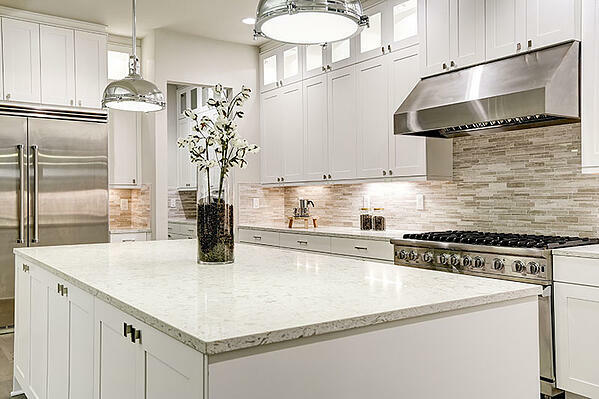 It’s an understandable quandary—when homeowners invest in a quartz or granite countertop, they’re naturally envisioning a picture-perfect slab. 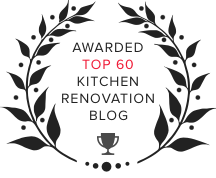 Unfortunately, similar to another top question (How much will my kitchen remodel cost...? ), there's no straightforward answer. 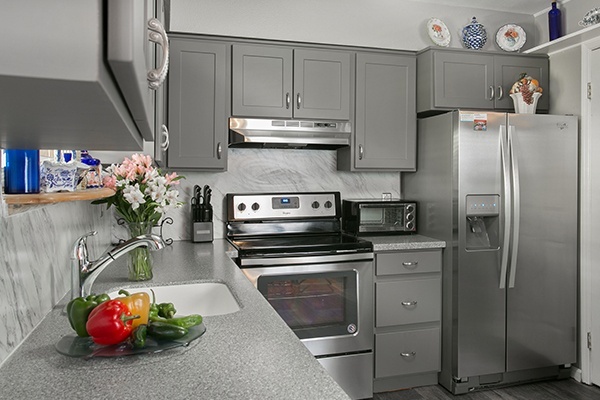 Ultimately, if visible seams - or lack thereof - are a notable concern, work with a reputable kitchen designer who cares as much as you do that the countertops are top-notch. Otherwise, read on to learn the ins-and-outs of why seams may be a necessity and how to mitigate their appearance or avoid them altogether. 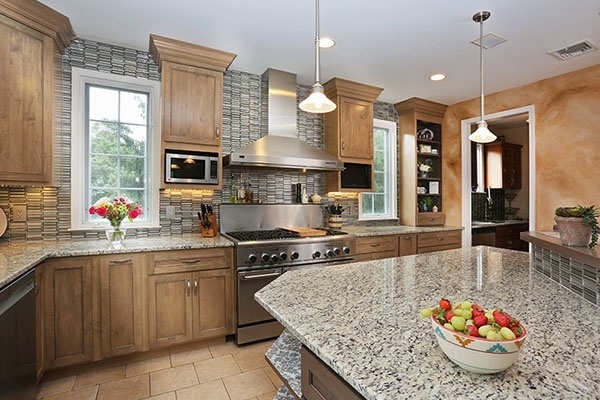 Let's review the main reasons why a natural stone countertop has a seam. First, it's important to know right off the bat that your kitchen designer cannot make a final determination regarding potential seams. 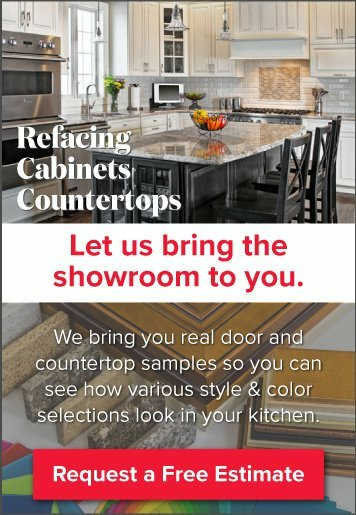 It's the countertop fabricators who hold that power and, to slightly complicate things, they can't tell you the final answer until they've laid out the top on the slab, and AFTER the templator has visited your kitchen to evaluate a range of qualifying factors. Is there a door in the house that's big enough to move the slab through? Once in, is there a clear pathway for the slab to move into it's countertop location? How many people does it take to carry in one piece? If it's not possible to do it safely (for both the workers and the slab), they'll cut it. Can the cabinets support a slab of that weight? What, if any, additional supports are needed and does that affect the way/shape it's cut? What size slabs in the color choice(s) are available? Again, the quality of your kitchen design build team matters. Here at Kitchen Magic, our fabricators do all they can to prevent seams whenever possible - and this is the standard for reputable fabricators in the industry. If seams are necessary, fabricators hide them as much as possible. Ultimately, all our reputations hinge on the final product and client satisfaction, so we're compelled to minimize seams too! Note: If you've seen a granite or quartz countertop with an unsightly, sloppy seam like the one below—odds are it was made by a person cutting slabs with a wet saw out of their garage—something no reputable stone countertop fabricator does. Corian Solid Surface is pretty much as seamless as it gets in the countertop world. It's gone through serious innovations since its first- and second-generations. In fact, there are now Corian slabs that closely resemble granite. Interested in a kitchen design team that only works with the best fabricators and who always try to avoid seams? 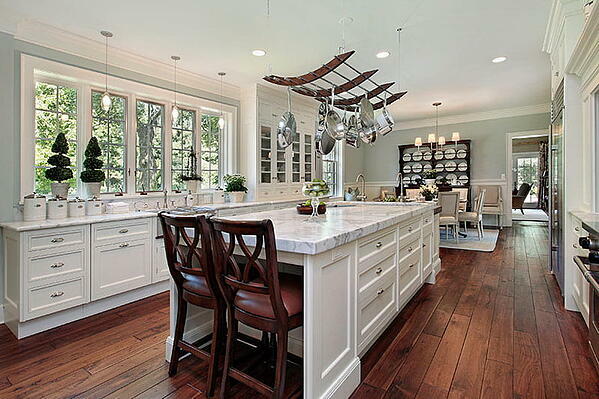 Schedule a free in-home design consultation with Kitchen Magic.